Sushant Sinha. Shot at Rustom's Cafe & Bakery. Five Under 35 is a series of chats with young professionals in the industry who take food as seriously as us. Binge talks to both the person on the job, and the one behind it. This month: restaurateur Kainaz Contractor. She's a chatty, down-to-earth and very huggable Mumbai girl who's made Delhi home for the past year and a half. Having joined the Taj group of hotels as "a starry-eyed kid", Kainaz always knew she wanted to work in food and restaurants but didn’t have a clear direction at the beginning. Now, her calling is clear and well-rounded—she gave Delhi one of its most loved Parsi restaurants and cafes: Rustom's. 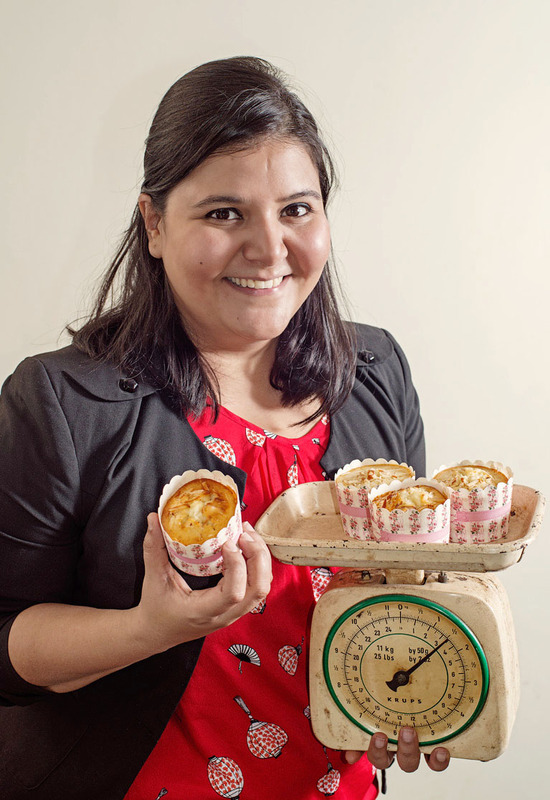 Kainaz has also worked as a food writer with Time Out Mumbai and BBC Good Food. "I started off as an intern at Time Out, and it was one of the most valuable work experiences I've ever had, even though it was only for six months," she says. Studied at: I have no formal training in food, but have always had a keen passion for it and so I started off by working at the Taj group as a management trainee. That’s where I gained an overall perspective on hospitality, right from the kitchens and housekeeping to restaurant operations and service. I wanted a well-rounded approach not specific to just the culinary arts. I found hotels a bit limiting in terms of scope of learning and innovation. At that time, the stand-alone restaurant culture was in its nascent phase and that excited me more. With hotels, you’re bound within a certain framework of how things work. That didn’t excite me very much after a while, and so I decided to branch out. How being a restaurateur in Mumbai is different from being one in Delhi: I found that it’s a lot more challenging in Delhi. Especially if you’re a woman. The culture of being subordinate to a woman does not go down too well. That was a bit of a struggle initially, be it getting basic menial jobs done or dealing with vendors. And of course, no respect for timelines or deadlines. That was a bit shocking for me; my dad’s in the navy and I have a very military approach to work. So naturally, I had to pick my battles when needed. One chef who’s doing well at the moment: There are so so many of them that it’s hard to single out just one. But if I had to, it would be Gresham Fernandes in Bombay. I’d love to get inside his brain to watch recipes and dishes take shape on the plate. You can get a glimpse of his art not just at the restaurants where he’s the corporate chef, but when he does these experimental by-invite-only dinners. My personal favourite is the Swine Dining series where they cook the entire hog, head-to-tail, over a ten-course meal. I think he’s one chef who looks at recipes and food in a very unique way. He breaks each ingredient and recipe down into different techniques, textures and temperatures. I hear he’s doing some really interesting things at the Jude Bakery with The Dubious Dinner Series (where diners have no idea what will be served for dinner) and The Gypsy Kitchen pop-up dinners. One food trend that’s going to stick around: Regional Indian and modern Indian food. Not that you asked, but one trend I think that should die a quick death is fusion Indian bar food. Delhi would be a better place with fewer CP lounge bars with identical menus. Easing Parsi cuisine into the Delhi palate: In terms of response, Delhi has shown us a whole lot of love. I think the Dilliwala’s palate has been needlessly mocked and underestimated. Even when I was with Good Food and Time Out, I was more drawn to the food culture in Delhi. I felt like Delhi had more varied dining options as opposed to Bombay. In part, the credit goes to the presence of State Bhavans, which made sure Delhi had a fair representation of regional Indian food. Also, because of the large expat community, there's been a lot of international cuisine. This is why I feel people are more receptive to different cuisines in Delhi. When we opened, we were very skeptical that diners may not take too warmly to the sweet, sour and spicy flavours of Parsi food. But they surprised us! Cooking philosophy: Keep it simple and let the ingredients shine through. Also, don’t be bound by recipes; create your own as you cook along. I’m very instinctive when I'm cooking. Rustom's is the one place where I strictly follow family recipes and provenance, but when it comes to our catering and collaborations, I enjoy creating my own. Favourite food: I have a big weakness for South-East Asian cuisines. You name it—Japanese, Vietnamese, Thai... that’s my go-to! Favourite drink: Single malt on the rocks. I'm a whiskey girl. Favourite restaurant in Delhi: I always get stumped when people ask me this, there are so many. I don’t want to pick just one. [Okay, pick three:] Mahabelly, Royal China, Fuji. Favourite restaurant in Mumbai: Highway Gomantak’s, Indigo Deli, Taste of Kerala. Likes to binge on: I’m a sushi and dimsum junkie. Closer home, it’s dhan dar with prawn patio.